Geosite Lisdoonvarna The town of Lisdoonvarna is built on a geological unit known as the Clare Shales, which lie directly on top of the limestone which comprises most of the Burren. The town of Lisdoonvarna is built on a geological unit known as the Clare Shales. The Clare Shales lie directly on top of the limestone which comprises most of the Burren. The limestone is exposed in the beds of the rivers which flow through the valleys and ravines which cut through the Clare shales and dissect the town. 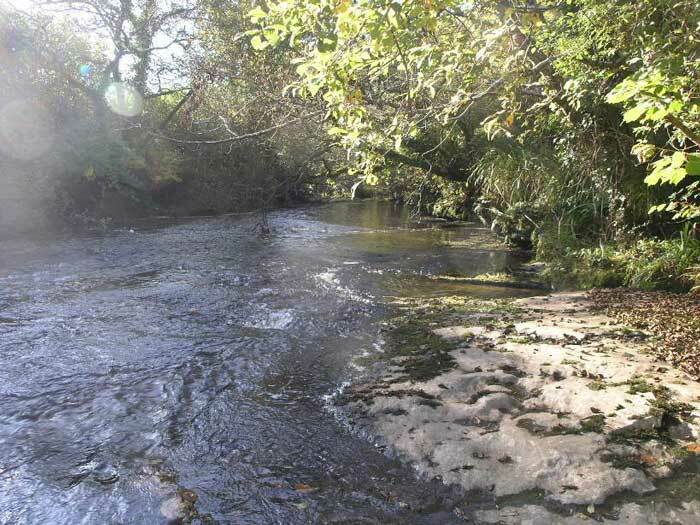 For over 200 years the waters that flow from springs in the Clare Shale in Lisdoonvarna have attracted visitors for their curative properties. The waters are rich in sulphur and iron and in 1875 the first bath-house was built. By 1895 over 20,000 visitors were coming annually. The water which flows from the springs has its origins at Slieve Elva, it flows underground through limestone passages until it reaches the Clare Shale at Lisdoonvarna. The Clare Shales are a fairly thin unit of rock in this area, only about 12m thick. The shales are generally very dark grey to black, occur in thin layers which are usually heavily fractured and can leave a black smudge on your hands almost like coal. 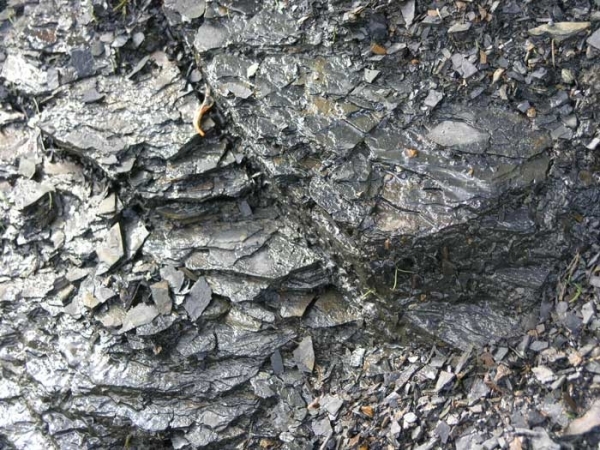 The shales are impermeable to water and often the soil on the surface is boggy and waterlogged. The Clare Shales formed in a marine environment with very low oxygen levels over 300 million years ago. The lack of oxygen is indicated by the relatively high levels of carbon, the presence of the mineral pyrite (FeS2) and the very restricted variety of fossils found. The main fossils are goniatites and a bivalve called Dunbarella as well as plant material. 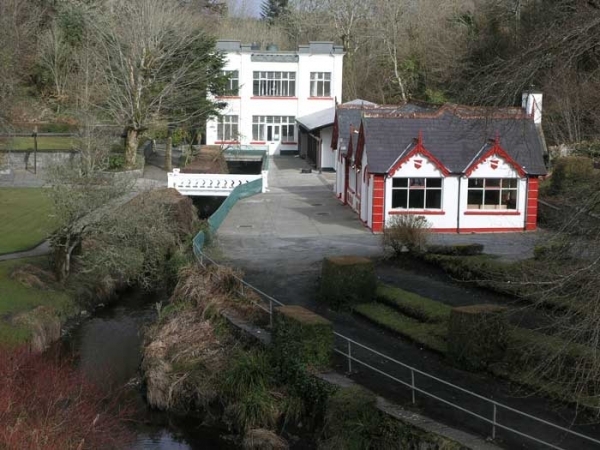 It is the breakdown of the mineral pyrite (also known as Fool’s Gold) which provides the Iron (Fe) and Sulphur (S) which gives the waters at Lisdoonvarna their characteristic odour and taste. Another mineral which is present in the shale is phosphate, and this was once mined at Doolin. The phosphate occurs at the base of the shales in a layer of nodules and is mainly composed of the remains of fish skeletons and the jaws of extinct animals called Conodonts. Hard, flattened circular discs of rock composed of iron-rich minerals occur throughout the Clare Shales. They often have irregular rhomboidal patterns on the surface and sometimes contain fossils inside. These are formed through the process of diagenesis which is the early formation of rock due to local variations in the chemistry of pore waters within the sediment. Some of these concretions can be quite large, over 50cm in diameter and when first found they were thought to be fossil turtle shells.